With Moxa's custom Quick Turn Computer (QTC) program, ordering custom rugged embedded computers and industrial-grade panel PCs and displays is both fast and easy. 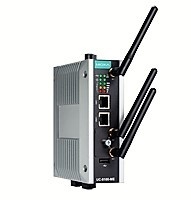 The program includes a wide selection of rugged industrial Panel PCs, DIN-rail Box Computers and IIoT gateways, which can be custom configured to meet your specific application and are ready to ship within a week or two. All of the Custom-QTC models are in stock and available for purchase at an affordable price. The Moxa products included in the QTC program are listed below and on the MSI TEC "Buy Moxa" online store. For questions and more information, an MSI TEC Moxa Specialist or call (866) 397-7388. Moxa’s ready-to-run embedded computers are RISC-based and equipped with serial ports, DI and DO channels, dual Ethernet, PCMCIA, SD, and USB host. Moxa computers are well suited for industrial automation applications. Moxa’s IIoT Gateways are industrial-grade wireless-ready Arm-based computing platforms that come with 10-year, long-term Linux support to address the need for computing systems with extended life cycles in smart city and industrial applications. wide temperature range and harsh environments. In this video we demonstrate remote monitoring of tank fluid levels using an Alexa Echo, Balluff tank sensor, and a remote I/O module and UC-8100 Linux Computer from Moxa. Using custom programming, we programmed Alexa to provide fluid levels on demand. For more information on how to safely deploy IIoT applications, us or speak with a Moxa expert at (866) 397-7388. 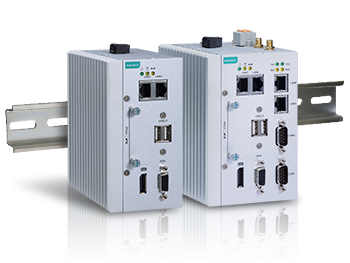 Shop online for cost effective remote I/O Moxa ioLogik E1200 Series and Moxa IIoT Gateway UC-8100 Series.